Mojito, daquiri, Cuba libre. Most people know these Cuban drinks. But there are so many other cocktails in Cuba that should be on your must drink list. 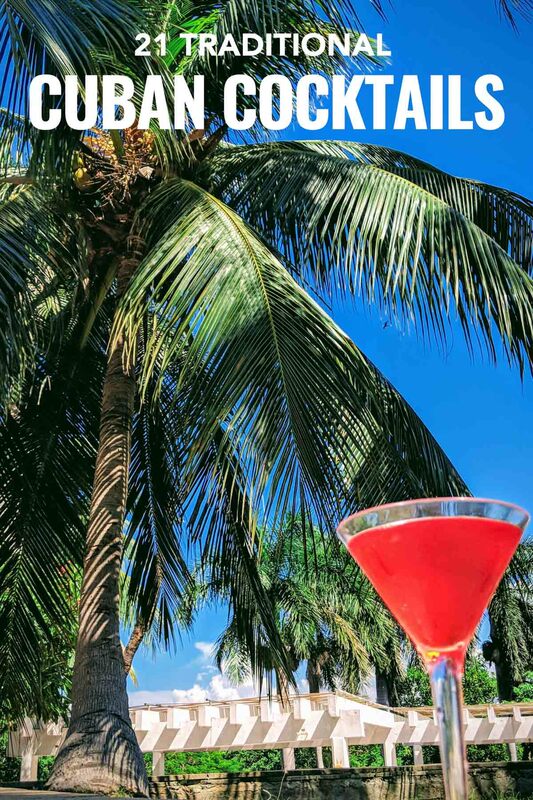 Cuba has a fascinating cocktail culture, its history is entwined with politics, the mafia and of course the revolution. 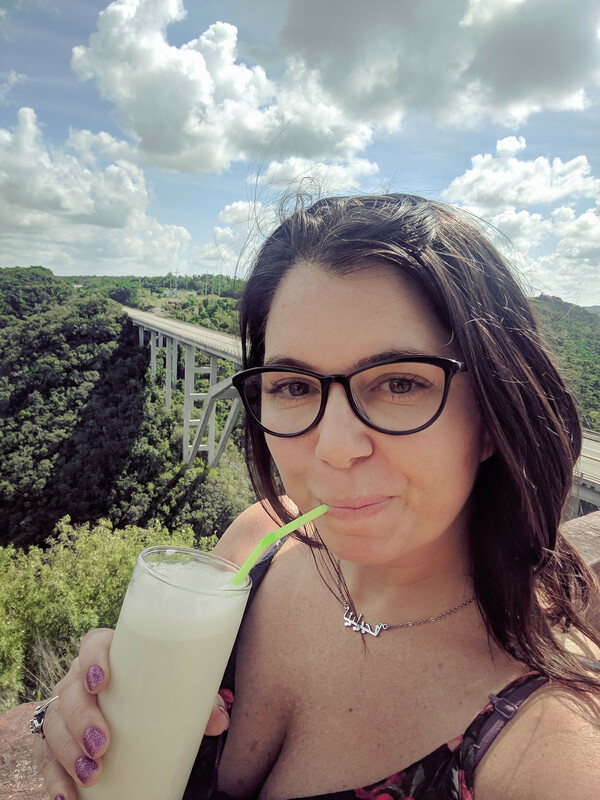 Researching Cuban cocktails may have been my favourite post to research, not only because it’s delicious but also there is so much history that goes into these drinks. Before you jump on a plane to Havana, here’s a fun to-do list with plenty of history to go along with it. The pina colada is not a classic Cuban cocktail, but still sold everywhere. Including Bacunayagua Bridge, the highest bridge in Cuba, between Havana and Varadero. Want to Make Cuban Cocktails at Home? I’ve spent nearly 6 months in Havana. Yet I had to go out of my way to find many of the Cuban cocktails on this list. That’s because…well I’m hanging out with Cubans. And while I can attest to the men drinking even just a bit of rum every day I almost never see someone drinking a Cuban cocktail. In fact, I’ve never seen one order a Cuba Libre, although I have seen a lot of yumas drinking them. My friends seem to like mojitos every now and then, but the truth is more often than not at a club we’re buying a bottle of rum and drinking it with a tiny bit of Red Bull and at home on hot days they’ll ask me for an ice cube with their straight rum. The Mojito @ Xanadu Hotel Bar in Varadero. Yet Cubans were drinking cocktails long before Americans escaped prohibition for booze filled holidays during prohibition in the 20th century. Vegas didn’t exist yet and so Cuba was the land of American holiday shenanigans. Prohibition in America was not a surprise. American businesses, many backed by the mafia, planned ahead to buy hotels, bars and restaurants in Havana. American bartenders fled to Havana to work. And while this influx of foreign investment should have been beneficial for locals, Cuban cantineros, or bartenders were overlooked for English-speaking American bartenders who understood the American taste. To help the situation Cuban bartenders formed the Club de Cantineros to support its members, with training, creating a recipe booklet, and English classes for the flood of American tourists there for a rum-fueled hijinks holiday at mafia-run casinos. Cuban bartenders adapted popular cocktails to include Cuban rum and other local ingredients. They were also the first to incorporate blenders to make frozen drinks. Most notably they created the frozen daquiri, which is one of the most popular cocktails in the world to this day. 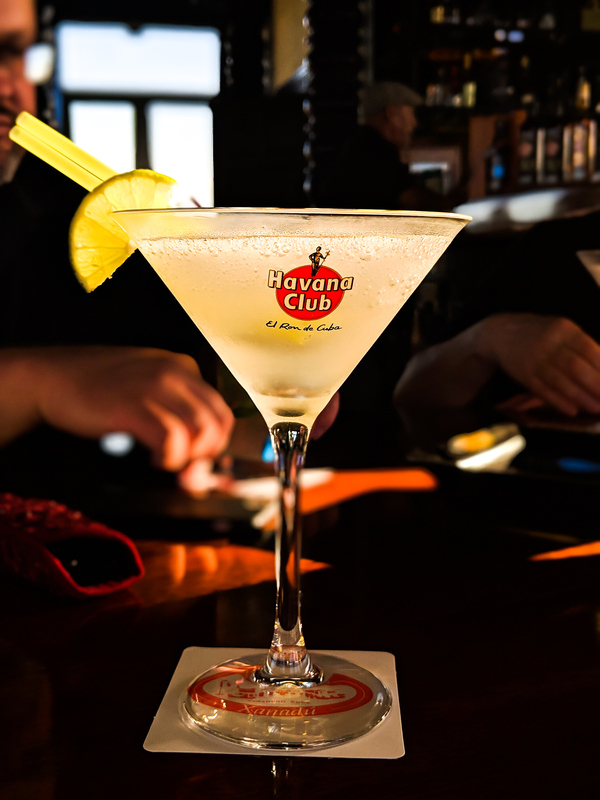 The club still exists, continuing to support its members, and just as Cuba is rapidly changing, so is the cocktail culture. 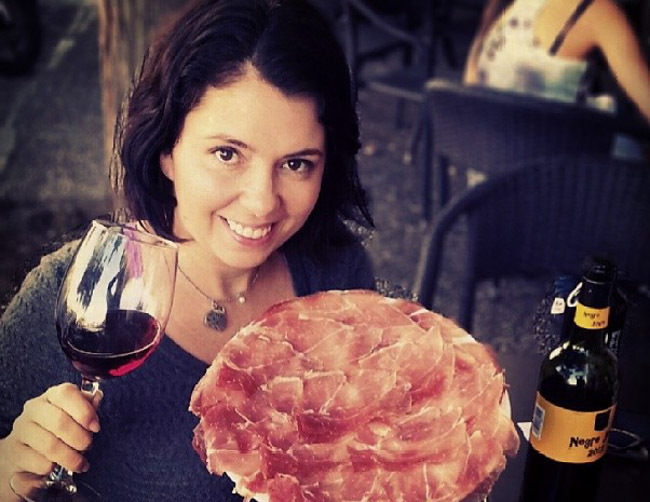 With new private businesses flourishing, a new generation of cantineros are innovating. However, the classics always remain a mainstay. The story of how the importance of Cuban bartenders are overlooked in cocktail history is fascinating and Francois Monti explains it beautifully here. Mulata daiquiri @ Terrazas in Varadero. Invented in a small village in eastern Cuba, there are many claims that this is Hemingway’s favourite drink. Although he was an alcoholic, so I’m sure he had many favourite Cuban drinks. The original recipe was a punch with white rum, ice, lemon juice and sugar. It later incorporated the American approach to be shaken with ice. The recipe which is incredible versatile and why there are so many versions of this cocktail. 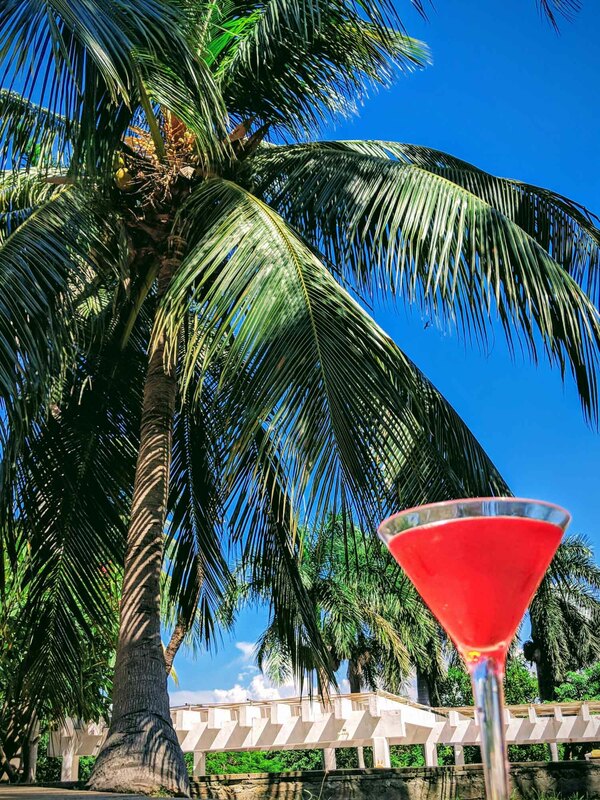 The Floradita Daiquiri uses maraschino, the Mulata Daiquiri uses cocoa cream and the Papa Doble has more rum, no sugar and instead uses grapefruit juice and the liquid from a jar of maraschino cherries. 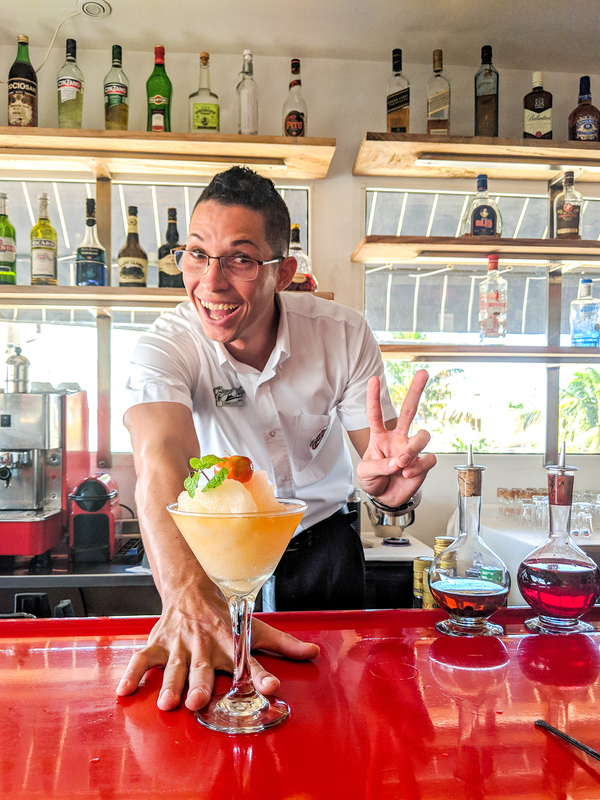 But it wasn’t until the 1930s that bartenders at the Floradita bar in Havana started using blenders to create the frozen daiquiri, which most people know today. I often cringe when I see articles list La Floradita as a must-do in Havana. From a historical perspective it is an important bar, and was popular long before Hemingway drank there. But Cubans don’t drink here. If you want to be elbow to elbow with other tourists drinking pricey cocktails and taking photos with a bronze bust of Hemingway this is the place to go. Although I often think he’d shudder knowing people did this. But hey sometimes you have to check things off a list. I won’t judge you for posting an Instagram with the bronzed author. I may even go here one day. Maybe. Many claim that it is actually the mojito that was Ernest Hemingway’s favourite drink. And La Bodeguita del Medio claims he helped name the drink by mispronouncing the word in Spanish for mint sprig. 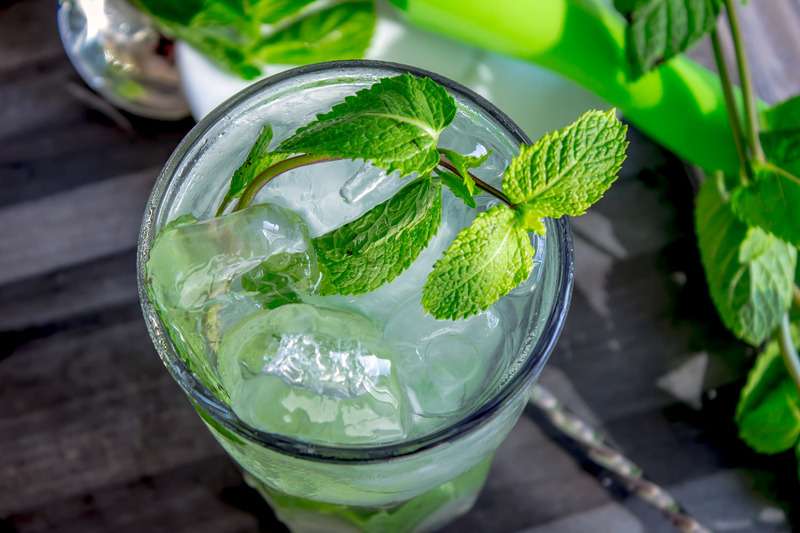 La Bodeguita does not claim to have invented it, but to have adapted the recipe by muddling the mint leaves. The combination of common Cuban ingredients of white rum, water, lime juice and mint had started hundreds of years before that. There are reports that in the 1580s English explorer Sir Francis Drake was a fan of its predecessor El Draque but others say it appeared in the 19th century and was a creation of Africa slaves in the sugarcane plantations. Later the recipe was adapted during prohibition to create a Mafia Mojito, which incorporates a dark aged rum in addition to the white rum, the drink appealed to the mafia crowd wanting a drink that both tasted stronger and was stiffer. Not only in flavour but also with variations of spirit, including gin, tequila, whisky etc. Did Hemingway also drink here? Many locals call bullsh*t on La Bodeguita del Medio’s claim. But again who knows! It’s just a few doors down from La Floradita , where Hemingway apparently had 12 Cuban drinks each day after a morning of working (Hemingway said he always wrote sober). So it is possible he stumbled into La Bodeguita del Medio. And with the crowd of tourists that cram inside every day the claim seems to be working. I’ve never had a drink there but I’ve heard they are quite mediocre. 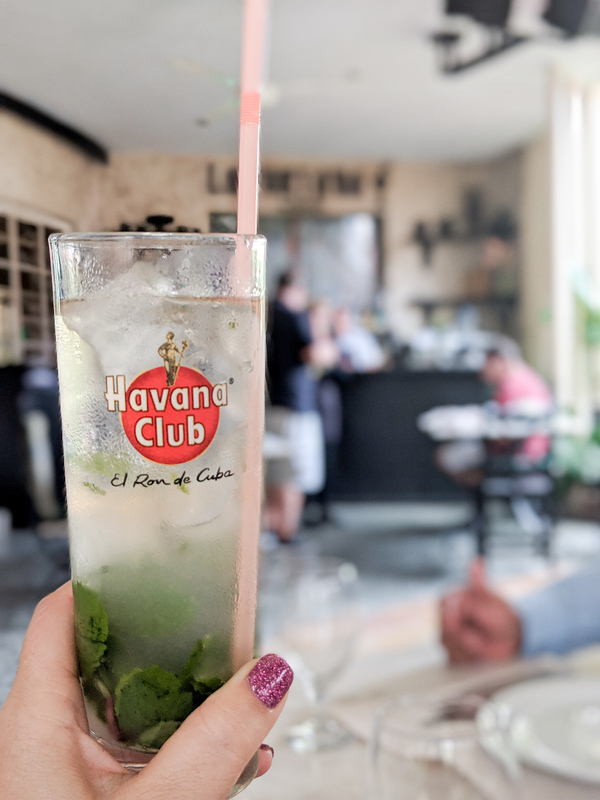 If you want to drink with locals, you can get mojitos everywhere in Havana for a fraction of the price, although Hemingway may not have drank there. This is a modern Cuban cocktail, inspired by the mojito. 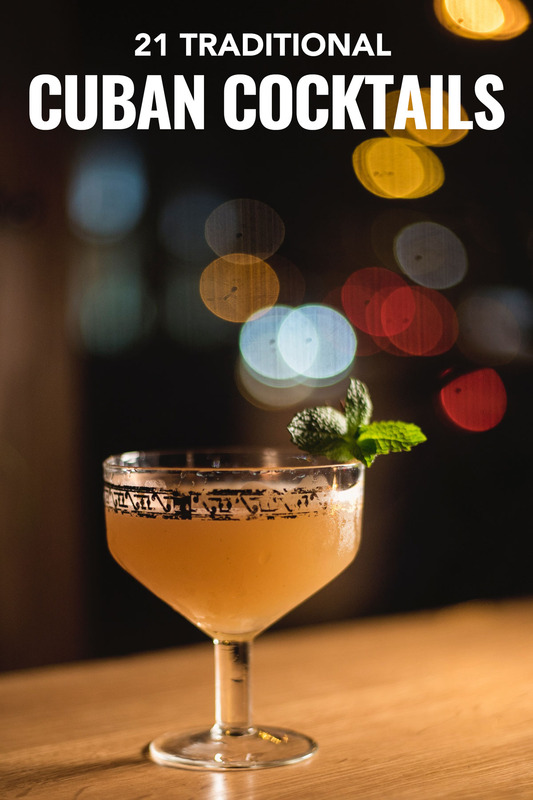 While it was not invented in Cuba, but by Audrey Saunders of the Pegu Club in New York, you can find it on some of the new cocktail bars in Havana. Essentially it’s a mojito with sparkling wine and Angostura bitters. The original drink by Saunders calls for Champagne and Bacardi Añejo 8-Year rum, but you’re more likely to get it with Havana Club and other sparkling wine in Havana. The piña colada isn’t the only coconut Cuban cocktail on the island. 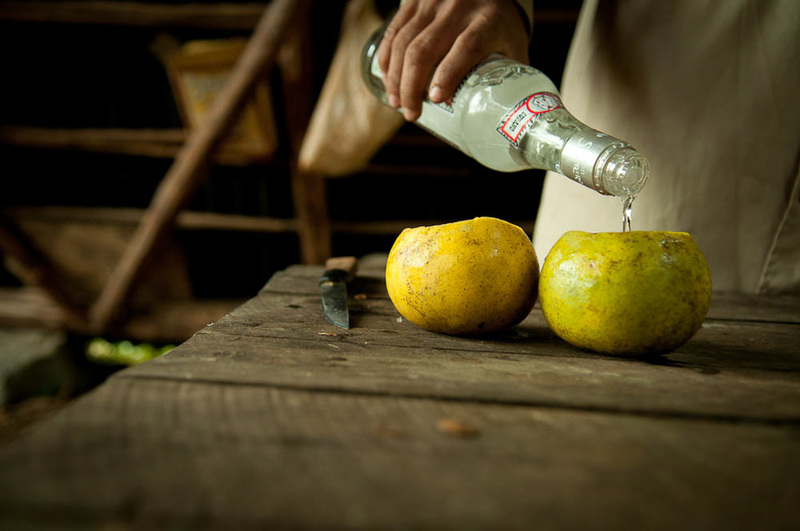 The saoco is made with coconut water from a green coconut, white rum or sugar cane brandy, sugar and lime. A refreshing drink, it’s also cheap as it uses common ingredients from the island. For this reason it was a favourite of African slaves working on sugar cane plantations, who used it as a tonic. Fun Fact: Saoco is also used in Puerto Rican slang to mean doing something amazing. Daddy Yankee also has a song called Saoco. At its cheapest and simplest form it’s just a name for a rum and coke with a bit of lime. But a truly great Cuba Libre incorporates a freshly muddled lime, which adds the fresh flavour from the oil of a lime peel. 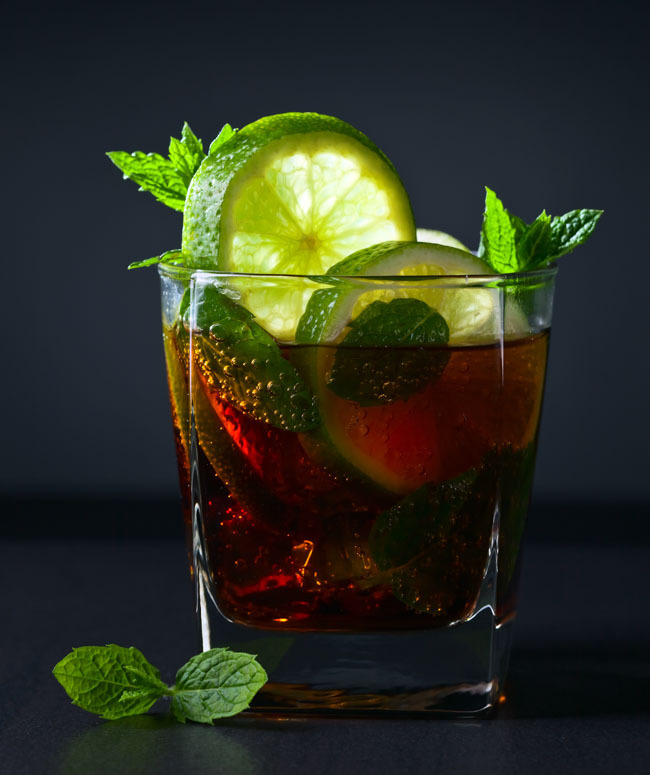 Like much of Cuban history, the origins of the Cuba Libre are debated but it’s most commonly believed to have been a toast by American soldiers celebrating the liberation from the Spanish. It became popular again in the United States when Coca-Cola was one of the only US manufacturers allowed production, and Cuban rum flowed freely. Both ingredients were cheap and plentiful in America and so it was as popular as it was affordable. Yet in Cuba Coca-Cola is difficult to find outside hotels and tourist restaurants. If you order one you’re more likely to enjoy Havana Club 3 años with tuKola, Cuba’s national cola. A Cuba Libre made with aged rum. It’s more commonly found in Spain. Similar to a Bloody Mary or a Canadian Caesar drink, the Cubanito is 1 year white rum with tomato juice, lemon juice, hot sauce, Worcestershire and salt. Most Cubans do not like spicy food so you have to ask for it to be extra spicy. This prohibition-era Cuban drink is full of drama, not only for whom it was named after, but also who was given credit for creating it. Everyone knows the drink is named for former President Gerardo Machado. He presided from 1925 to 1933 and is responsible for the Capitol Building and the Central Highway. He was very well liked early on in his career, gaining popularity during American Prohibition. His vision was that Cuba would be the “the Switzerland of the America.” he was later accused of trying to assassinate his rivals and needed to flee the country in 1933. The drink was created early in his career by a Cuban cantinero. Unfortunately, it is continually mistakenly attributed to American bartender Eddie Woelke who worked at the Jockey Club in Havana. The drink is distinctly different from the fruity, minty Cuban drinks we love. Here dark rum is combined with vermouth, Curacao liqueur and grenadine and served over ice. Other recipes also call for white rum, black vermouth and served with cherries and orange peel. Hemingway, known as Constante by his friends at the bar, also supposedly has a hand in this classic Cuban cocktail. Like many Cuban drinks, La Chaparra was created by Catalan bartender Constantino Ribalaigua who worked at La Floradita. And while the Chaparra is a Spanish oak tree found on the Iberian peninsula, its nuts feed the pigs there and produce the famous Iberian ham I is more likely that he named it after a Cuban slang term as Chaparra also means a short woman. No one knows why, but maybe there was a Cubana he wanted to impress? It’s a boozy drink, heavy with rum alongside vermouth, sugar and lime peel. Perhaps it was just enough rum to win the right person over. One of the simplest Cuban drinks, it’s 2oz of aged rum shaken with 1oz of apple liqueur and 4oz of ginger ale. Havana Special at Cafe del Oriente in Old Havana. 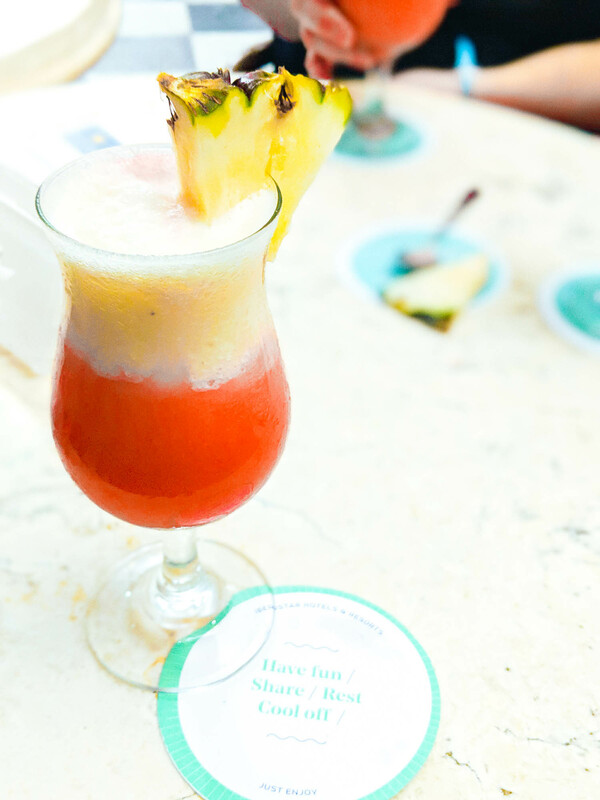 It’s got rum and tropical fruit, who wouldn’t want to drink just one of these in Cuba. This Cuban cocktail varies based on what’s available but expect something fruity. It’s often 3 year old Havana Club with orange or pineapple juice and maraschino liquer shaken with ice, strained and garnished with fruit. A simple recipe of 1.5oz white rum, .75oz aged rum, a few dashes of granadine and juice from a slice of lime. Serve in a tom collins glass. 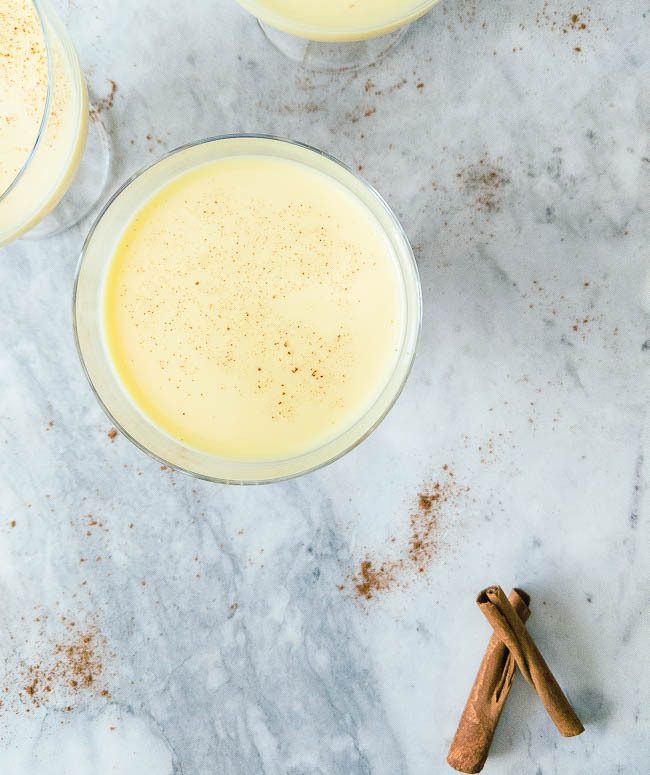 Literally translating to cream of life, this Cuban drink is similar to what we know as a boozy eggnog, or the rompope in Mexico and the ponche crema in Venezulea. Cubans also drink this at Christmas, often after dinner. Like many traditional Cuban drinks, it is made in batches to bring to parties. A calorie rich, decadent drink, crema de vie is traditionally made with condensed milk, evaporated milk, egg yolks, sugar, vanilla and white rum. Many traditional American cocktails were adapted during Prohibition for American tourists. The name is a clever switch from Tom to Ron. Ron means rum in Spanish, so it’s an easy way to know that this gin cocktail now uses rum. Havana Club first published this recipe, which is a play on the ubiquitous vodka cranberry drink with a bit of lime juice and sugar. Although “Vodka Cran” was a constant in my university days, this feels like much more of a grown up drink using the Havana Club Anejo 7 anos aged rum. 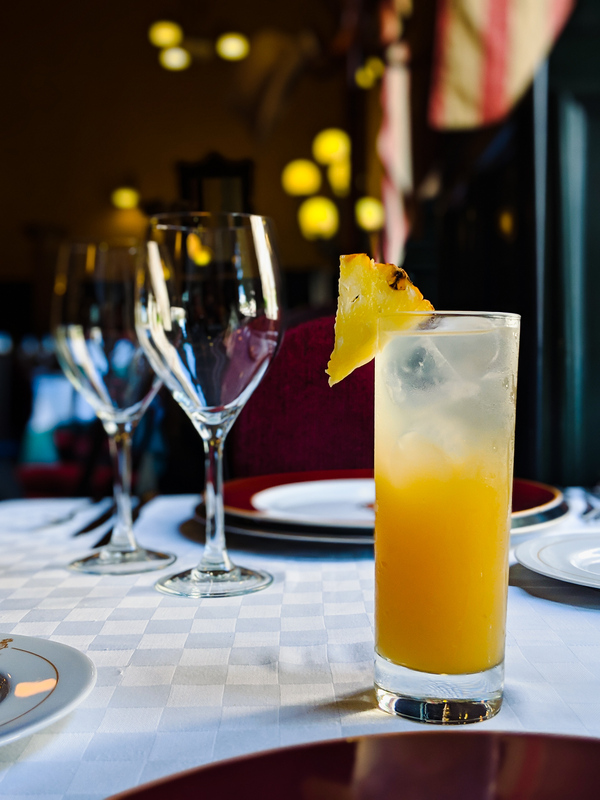 Although this Cuban cocktail is not commonly found on drink menus, it is recognized universally as the oldest Cuban cocktail. The Canchanchara was created in the colonial town of Trinidad. It is most commonly known by tourists for its charming cobblestone streets, sugar plantations and beautiful embroidered linens. The Canchanchara was popular during the Cuban War of Independence from Spain. Cuban freedom fighters drank it hot to stay warm at night. Like many Cuban drinks it uses the most common ingredients, sugarcane aguardiente with lime, honey or molasses, and water. It is served over crushed ice. The recipe quickly spread across the country. However, it was popular as a cold drink and aguardiente was replaced with light Cuban rum and sugar instead of molasses and often served it as punch. It’s thought to be the predecessor of the modern daiquiri. Today in Trinidad this Cuban cocktail is traditionally served in a clay bowl. Yet you’re more likely to see it in a glass if you ask for it in Havana. Named after the beautiful art deco inspired Spanish colonial Hotel Nacional de Cuba, which opened in the 1930s during the mafia gangster hey day. It’s perched on a cliff overlooking the malecon and is still known as one of the best spots to drink a cocktail in Cuba. It is also home to some of the priciest drinks in Havana. And while you can get this Cuban cocktail anywhere in the city it’s worth the splurge for the nostalgia. Everyone from Winston Churchill to Nat King Cole to mobster Lucky Luciano has visited. Once the sun sets you can see locals gathering along the malecon to socialize. The walled waterfront is full of couples and groups of friends sharing rum or beer, and dancing and blasting music – which is equally as fun. You must do both when you visit. Not surprisingly, this Cuba drink is full of tropical flavours, made with rum, apricot brandy, pineapple juice, lime juice and simple syrup. This drink is named after the island just on the southwest coast of Cuba. From 1953-1955 Fidel Castro was imprisonedhere. . Isle de Pinos (Isle of Pines) was an island known for its tremendous pine tree forest, a source of industry for locals. It had a sordid history of being used from everything from a haven for pirates to a penal colony. In 1978, Fidel renamed the Island, as he wanted to give it a fresh start, looking to the youth. It is now known as Isla de la Juventud (Isle of Youth) but the Cuban cocktail name remains. The Isla de Pinos cocktail incorporates grapefruit juice with 3 year with white rum, simple syrup and often a bit of red vermouth, depending on where you order it. Canadian silent film star Mary Pickford is the inspiration for one of my favourite Cuban drinks. She was in Havana with her husband and also her friend Charlie Chaplin, staying at the Hotel Nacional – because everyone who was anyone stayed there. At the bar they created this drink for her and now you can find it around the world. The original drink made for Mary used much more juice than rum. Today’s version uses equal parts of white rum and pineapple juice along with a bit of grenadine and maraschino liqueur – which is just how I like it. One of the most underrated Cuban drinks, mostly because it isn’t well known. The Air Mail was conceived in the 1940s. It was a nod to the Canchánchara with a kiss of the bubbly added to the rum, honey and lime juice. 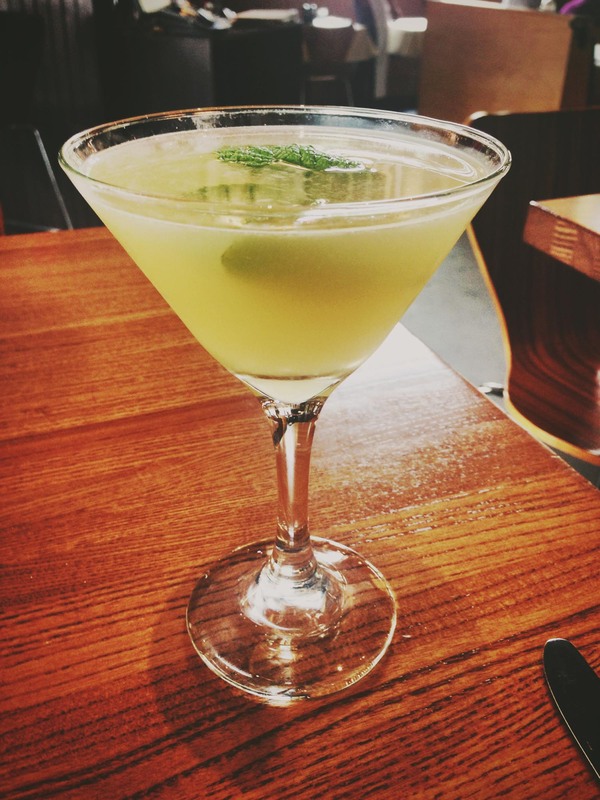 If you love the French 75, the Air Mail could be right up your alley. It was originally served with a stamp as a garnish, although I doubt that happens much now. Not technically a Cuban cocktail but it is a boozy drink. The Spanish are famous for having a “spirited” coffee, and often adding brandy, rum, whisky or another hard liquor. But it originated in Cuba during the Spanish occupation. Apparently the name came from “coraje” as Spanish soldiers claimed it gave them “courage.” Later on it was changed to carajillo. You can find this drink throughout the world, including Cuba, although with rum it’s known as cafe rocio de gallo. Okay this one is cheating a little bit as it’s not really a traditional Cuban cocktail. However, you will find it at all the all-inclusive resorts in Cuba. I learned about it from Sharon while staying at the Iberostar Varadero. It’s half daiquiri and half pina colada, and it’s served separated. I personally prefer to drink the daiquiri first and then finish with the pina colada. Cocktails have made a huge comeback. 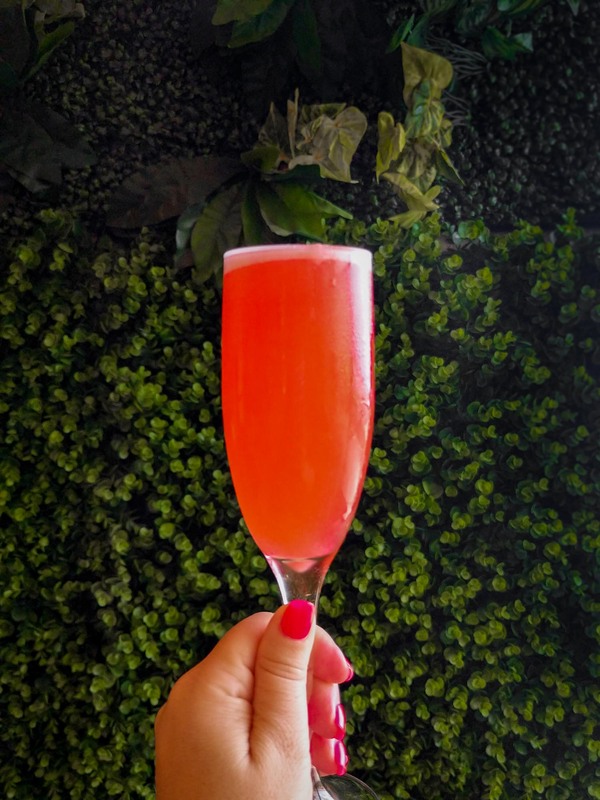 It’s not only the resurgence of classic cocktails, but also the innovation of modern cocktails inspired by local ingredients. Below I included an Amazon link to a new Cuban cocktail recipe book the co-owner of the famous Death & Co. cocktail bar, who also owns Cuban rum bar Cienfuegos. In this book there are 100 recipes that reflect the classic cocktails of Cuba mentions above. There are lots of punch recipes for parties and modern takes on Cuban drinks.